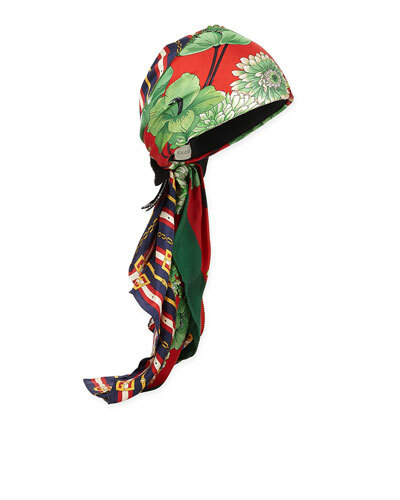 Epona Valley "Glemby" head wrap in silk shantung. 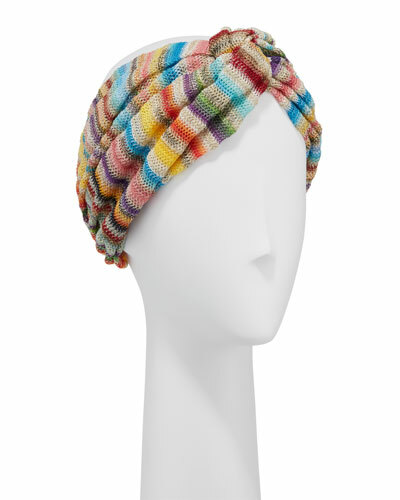 May be worn in multiple ways - like having four headbands/wraps in one. Self rosette knot detail at front. Approx. 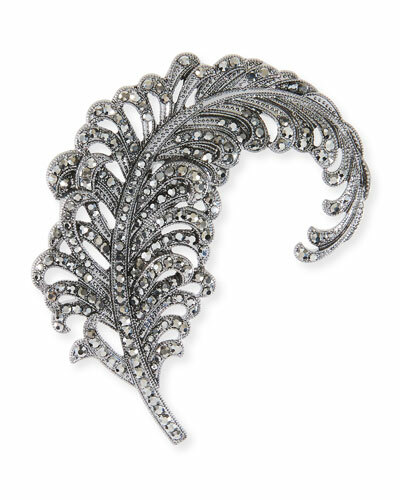 3.5"W. Made in USA of imported materials. 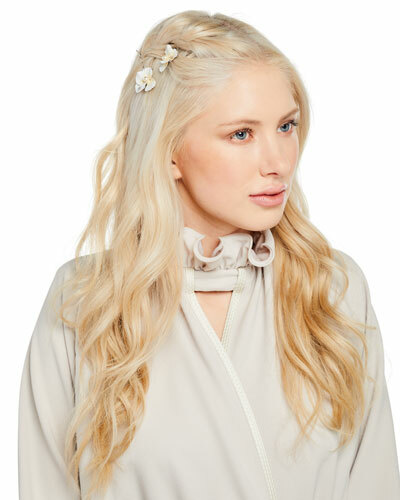 Jennifer Behr "Bianca" circlet headband. Gold tone plated brass hardware. Swarovski crystal simulated pearl stations. Elastic cord at back. Made in USA. 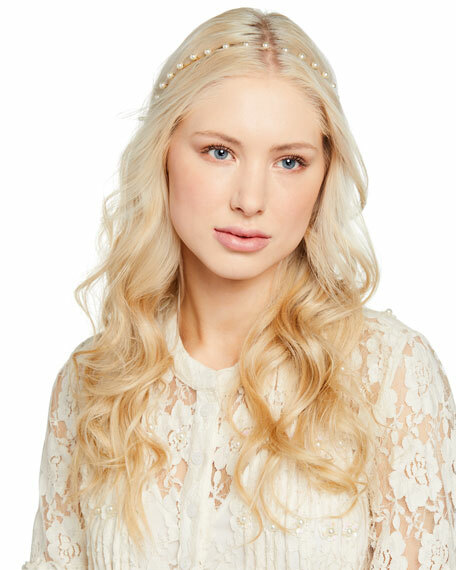 Jennifer Behr "Cressida" circlet headband. 3D flower and butterfly details. Gold tone plated brass hardware. Elastic cord at back. Made in USA. 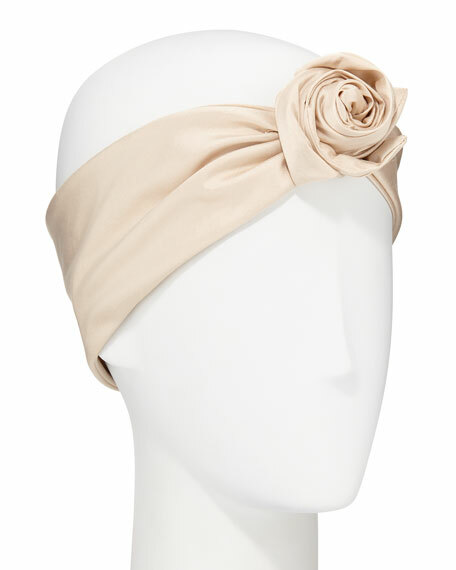 Jennifer Behr "Voilette" headband with mesh veil detail. 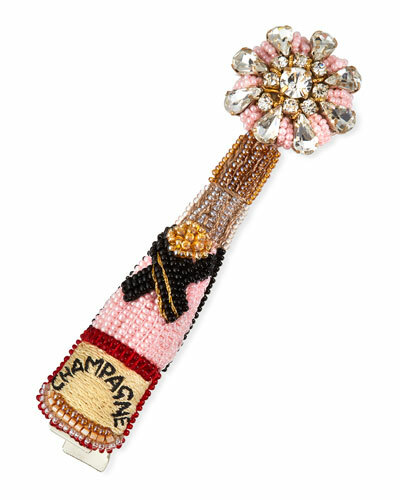 Ideal for cocktail attire. Silk-wrapped brass band. 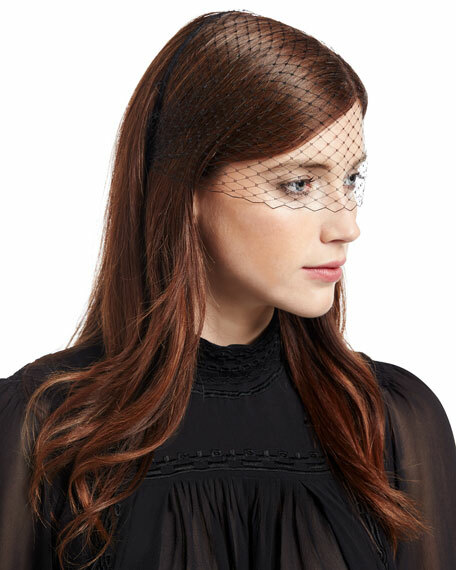 Veiling: nylon. Handmade in USA.